Paul Kelly is a uniquely gifted storyteller. For thirty years he has written songs of uncommon directness about everything from love and land rights to cricket and cooking. ‘Before Too Long’, ‘To Her Door’, ‘Leaps And Bounds’, ‘Don’t Start Me Talking’, ‘Dumb Things’, ‘From Little Things Big Things Grow’, ‘How To Make Gravy’ - his songs connect generations of listeners across the country. 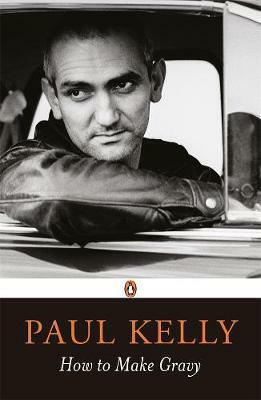 In a memoir that has been greeted with acclaim by critics and adulation by fans, Kelly takes the lyrics of his songs as starting points to tell the stories of his life - the highs and lows of performing, the art of songwriting, being on the road with the band, tales of his childhood, family, friends and fellow musicians. All illuminate Kelly’s wide sources of inspiration, offering an unequalled portrait of the creative mind. Kelly’s specially recorded versions of the A to Z songs, stripped back to their essentials as solo or duo performances, are available digitally and in a companion CD boxed set that included a 64-pages booklet of photographs.